In our regular Historic Aircraft spotlight, we take a look back at the beloved aircraft that changed aviation. But how many of those aircraft are still airworthy? 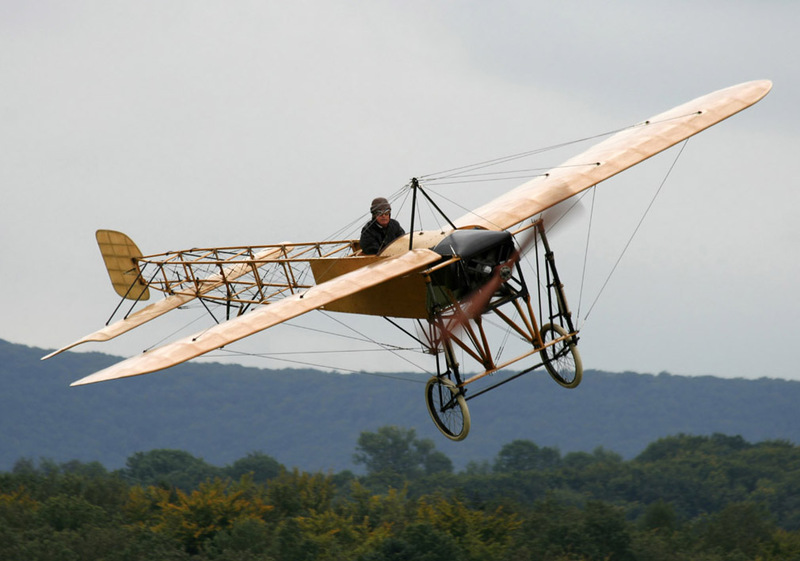 One of the earliest pioneers in aviation was Louis Bleriot, who crossed the English Channel in 1909 in an aircraft of his own design: the Bleriot XI. While there are no airworthy versions of the historic Wright Flyer that preceded it, it turns out that there are two Bleriot XI’s that are still airworthy. 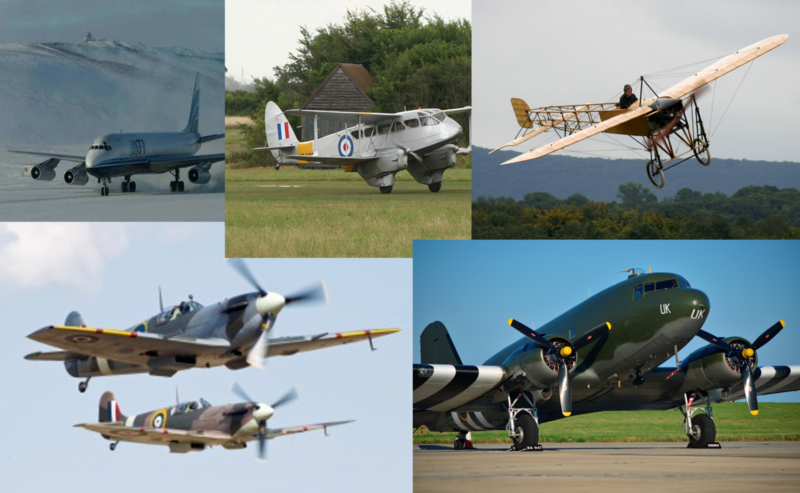 They can be viewed today at the Shuttleworth Collection in the UK and the Old Rhinebeck Aerodome in the U.S. These two aircraft are the oldest flyable aircraft in the world today, though you aren’t likely to see them dusted off by their respective owners except on very special occasions. Image: J. Klank. Source: Wikipedia. The DC-3 first took to the skies in 1934, and changed the course of modern air travel as we know it. This was the aircraft that made coast-to-coast passenger flights truly feasible. 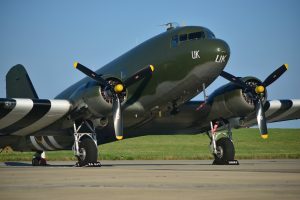 It also became one of the most trusted aircraft used during World War II – thousands were made to serve the Allies on battlegrounds throughout the world. You can still book a flight on a DC-3 through DDA Classic Airlines, a Netherlands operator that offers a classic DC-3 for scheduled flights. Another operator, Air Chathams, allows for charters of a DC-3 on flights in New Zealand. Buffalo Airways in Yellowknife, Canada, and Springbok Classic Air of South Africa also offer service on a DC-3. 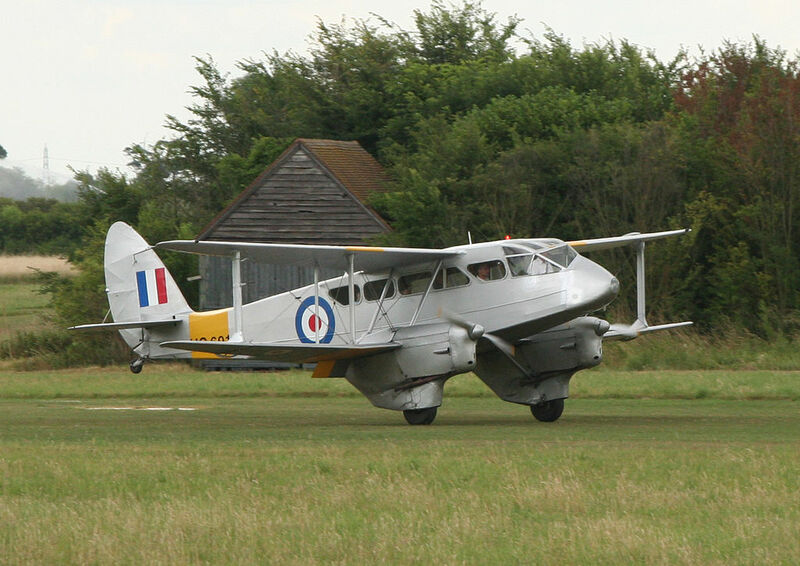 The Dragon Rapide first flew in 1934 – the same year as the DC-3. Its reliability and durability earned it a favorable reputation in World War II. Its quirky angled design is in part due to the fact that it’s made almost entirely of plywood. 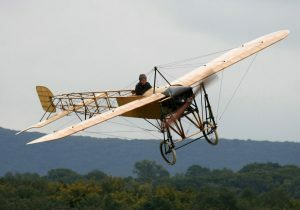 It’s still possible to catch a ride on this short-haul biplane at Classic Wings, an operator based in Duxford, UK. Another air-ready model is owned by Scillonia Airways in Membury, Berkshire, UK. Image: Trevor Merron. Source: Wikipedia. 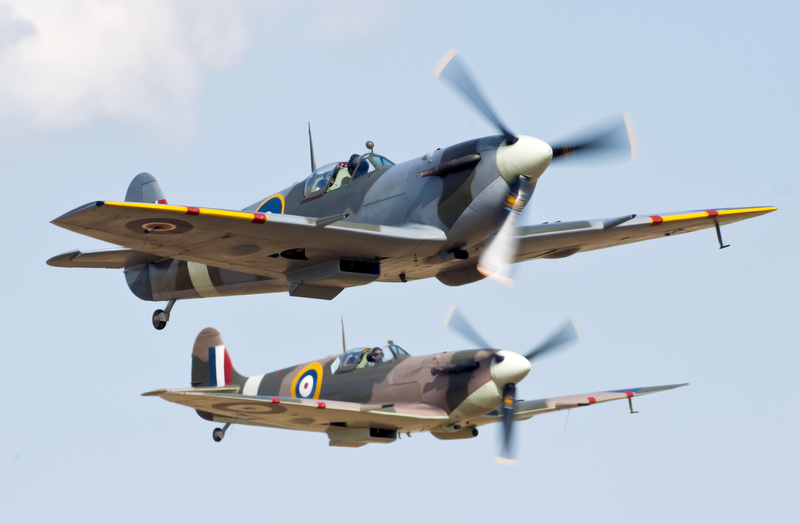 A favorite of the Royal Air Force, the Spitfire was produced throughout the war and employed effectively against Allied enemies. The Spitfire debuted in 1936, and acted as a short-range interceptor. It continued to serve in non-combat military roles through the 1950’s. Estimates show that there are about 54 Spitfighters that are still airworthy, most of which are in private collections. The Temora Aviation Museum in Temora, New South Wales, however, also has one in their collection, which is still flown during its Aircraft Showcase a couple of times a month. In the post-war flying boom, the Douglas DC-8 transformed air travel in 1958. It was one of the first jet-propelled aircraft, and the first airliner to break the sound barrier. 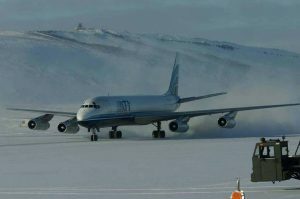 Its slim design eventually went out of fashion when advanced engine technology enabled the production of wider-bodied aircraft like the Boeing 727 and DC-10. 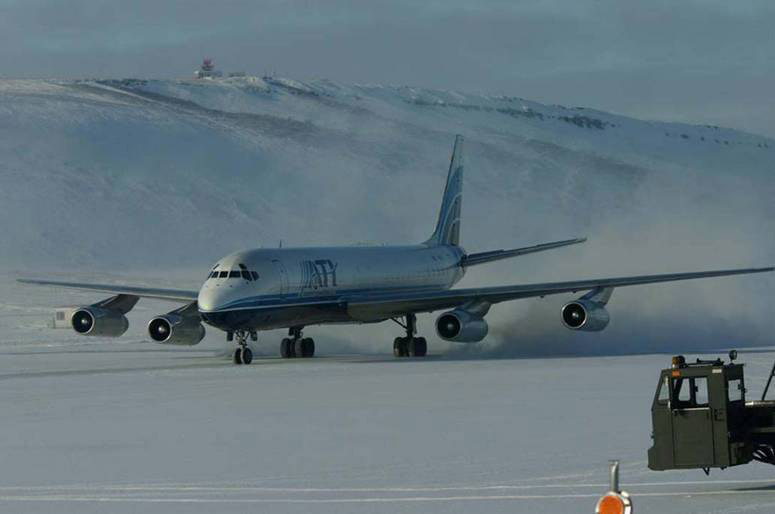 While this isn’t the sort of aircraft you can commission a ride in, there are still some DC-8’s in general operation (though they haul freight as opposed to passengers). It turns out NASA also has one on hand that it uses as an advanced, airborne science laboratory.